A key distinction between the U.S. and other nations, even relatively free nations, long has been American restrictions on domestic use of the military, for police actions, law enforcement and keeping things under control. However, when the local police officer or sheriff’s deputy is equipped with night vision goggles, laser-scope rifles, electronic eavesdropping equipment and body armor and comes up a citizen’s driveway in a military-type personnel carrier with shielded windows and oversize wheels, the prohibitions seem to lose some of their teeth. It’s an issue on which WND has reported for more than a decade, and others now are taking note. Since 1878, with the passage of the Posse Comitatus Act, it has long been an established legal principle that the federal government is not allowed to use the military to enforce federal or state laws. See the BIG LIST of SWAT-team attacks on innocent Americans. In recent years, the law has been modified to allow the president to deploy federal troops to enforce the law. Two of the most notable cases are President Dwight Eisenhower’s decision to send federal troops into Little Rock, Ark., to enforce desegregation and the 1992 Los Angeles riots. However, while American armed forces may be limited in their ability to enforce the law, the act is essentially being circumvented by militarizing local enforcement, equipping it with some of the same equipment, training and tactics used in war zones. Radley Balko raised the issue recently a Wall Street Journal article, “Rise of the Warrior Cop.” He says the trend is to erase the line between military and law enforcement. The number of local jurisdictions with SWAT teams has increased dramatically in recent years, employed now by the majority of police departments in small and medium-sized cities. Balko cites surveys by criminologist Peter Kraska of Eastern Kentucky University, who noted that in 1983 just 13 percent of towns between 25,000 and 50,000 people had a SWAT team. However, by 2005 the figure was up to 80 percent. With the increase in the number of SWAT teams, local police have increasingly used the new technology and training even in cases in which their use is questionable. The article noted that along with the increase in the number of SWAT teams has come a corresponding increase in raids by the military-style trained officers. In the 1970s there were just a few hundred raids per year, however, in the 1980s the number of raids jumped to 3,000 per year. In 2005, the number is a stratospheric 50,000. 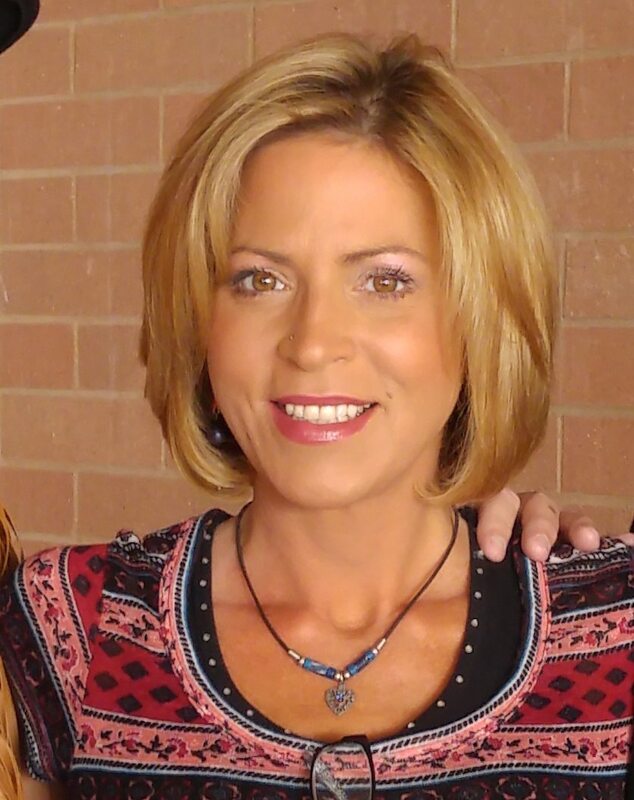 Balko highlighted the case of Matthew Stewart, a U.S. military veteran. Police got a tip he was growing marijuana in his basement. Stewart was awakened when the battering ram knocked down the door and. Thinking he was being attacked by criminals, he picked up a firearm and began shooting before being killed by officers. 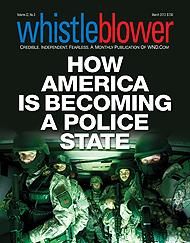 Read the full report on “How America is Becoming a Police State,” in Whistleblower. After the shooting, police found 16 marijuana plants, and although the plants were illegal, there was no evidence he was selling the drug. Stewart’s father said his son suffered from post-traumatic stress disorder and may possibly have used the marijuana to self-medicate. 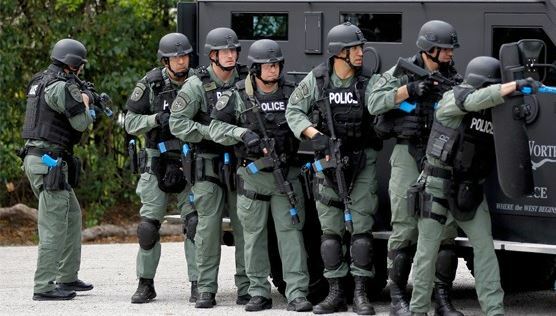 While many Americans are concerned about the increased firepower possessed by local law enforcement, Balko said the problem is more pervasive than just local police departments, noting that many federal departments now have their own personal SWAT department. Among the government agencies with their own SWAT teams are the Department of the Interior, NASA and the Fish and Wildlife Service. Even the Department of Education has its own “special forces” team. Balko noted the federal department has sent SWAT team members to raid the home of a woman who authorities said was suspected of defrauding the federal student loan program. The raid raised eyebrows because it was it was the first time the public was aware the Education Department possessed such a unit. Whenever the issue is brought up, officials claim the increased armament and hardware is needed because of threats faced by law enforcement that were not present decades ago. In the 1980s the rationale was the war on drugs, while in recent years it has been preventing domestic terrorist attacks. However, the data does not back up such claims. The Colorado-based Independence Institute noted in a 1991 study that less than one-eighth of 1 percent of U.S. homicides were committed with military-style weapons. In the years since the 1991 report, additional studies have all reached similar conclusions including one by the Clinton Justice Department in 1995 and the National Institute for Justice in 2004. While police departments have engaged in military tactics and training for their SWAT teams, they have been frequently limited by law and by finances. However, after the Muslim terrorist attacks on 9/11, the Department of Homeland Security began to offer federal grants to allow local police departments to upgrade their arsenal. The Center for Investigative Reporting has said that since its inception in 2002, DHS has doled out $35 billion in grants to help militarize police forces with items such as grenade launchers and even armored personnel carriers. In 1999, WND reported a proposed change in a federal regulation would be going into effect that would allow federal agencies to donate “surplus” firearms to state and local law enforcement entities. The previous regulation permitted federal agencies to donate or sell trucks, boats, aircraft and even space vehicles to state and local agencies and to individuals. But the federal property management regulations drew a line in the sand when it came to agencies like the Forest Service or FBI transferring actual weapons either by gift or sale. But under the new regulations, used handguns, rifles, shotguns, individual light automatic weapons up to 50 caliber, and rifle and shoulder-fired grenade launchers up to 75 mm could be transferred to state agencies for donation to state and local public agencies. In 2011, the Pentagon gave away $500 million in military equipment to help bolster the armories of local law-enforcement. Earlier this year the American Civil Liberties Union became concerned about the issue, saying in March it was filing a series of open records requests in 25 states and National Guard offices in an attempt to discover the extent to which federal funding have helped local police departments become more militarized. “Federal funding in the billions of dollars has allowed state and local police departments to gain access to weapons and tactics created for overseas combat theaters – and yet very little is known about exactly how many police departments have military weapons and training, how militarized the police have become, and how extensively federal money is incentivizing this trend,” the ACLU said on its website. While the issue is now beginning to generate concern over perceived threats to constitutional liberties by the Obama administration in light of the IRS and NSA scandals, WND founder and CEO Joseph Farah began reporting the trend to militarize the police in 1998. In a column headlined “The cops are out of control,” Farah lamented that while in years past seeing a police officer gave him a sense of security, it was no longer the case because of recent actions by SWAT teams. “The recent incidents in Oklahoma, where police shot an unarmed mother holding her child in her home, in Virginia, where a SWAT team killed a watchman guarding a dice game at an after-hours club and in California, where a Bureau of Alcohol, Tobacco and Firearms raid on a gun shop resulted in the death of the shopkeeper, provide some hard evidence that police in America may be getting out of control,” Farah warned at the time. He went on to note the danger of police agencies acquiring military gear even back then. 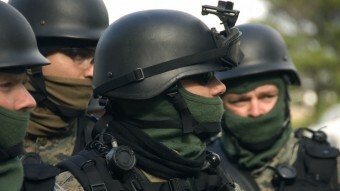 The challenged to the Fourth Amendment generated by the use of SWAT teams and no-knock warrants is likely to continue as a result of a ruling by the Indiana Supreme Court in 2011. Officer Lenny Reed arrived at the scene and met Richard Barnes outside as he was leaving with luggage. Barnes told the officer he was leaving and raised his voice. Mary Barnes then came out, threw a bag at her husband and told him to get the rest of his stuff. The couple returned to the apartment and Richard Barnes blocked the officers from entering. Reed attempted to enter the apartment and was thrown against the wall by Barnes. Officers Jason Henry and Reed used a choke hold and Taser to subdue Barnes. After being found guilty of battery on a police officer, resisting law-enforcement and disorderly conduct, Richard Barnes appealed the ruling. His basis was that the jury had not been given instructions regarding the right of a citizen to reasonably resist entry into his home. A WND columnist excoriated the ruling, saying, “Our founders, whatever the differences among them, would be enraged” at the notion that private citizens secure in their homes have no right to resist entry by officers without a warrant. Breaking! Israel Insists on a 7 year Peace Treaty? Could This Mean the Soon Fulfillment Daniel 9:27?